The SLD Group provides its customers with state-of-the-art cataloguing and surveying for roof surfaces. With our unique interactive documentation, we can supply contact-free imaging of inaccessible objects and true-to-scale, digital image representations. We make this data available to our customers in the login area of the SLD customer portal. Here, precise and accurate follow-up measurements can be carried out at any time. These measurements are performed quickly, inexpensively and safely using technical SLD quality testing for existing property or in the event of acute damage. Surprisingly, flat roofs are not usually taken into consideration in building management until damage occurs as a result of leaks. Cracks and damaged areas are usually very difficult to detect, since the water entry points can rarely be optically pinpointed and the actual damaged areas usually lie at a vast distance from the visible dripping and damp spots. Leaking flat roofs are an immense problem for the owner. The penetrating moisture damages the entire roof structure over the long term and leads to increased operating costs, incalculable restoration costs, and often to the complete and catastrophic breakdown of the building. All documentation data and an evaluation of your flat roof assessment are available online in the SLD customer portal. 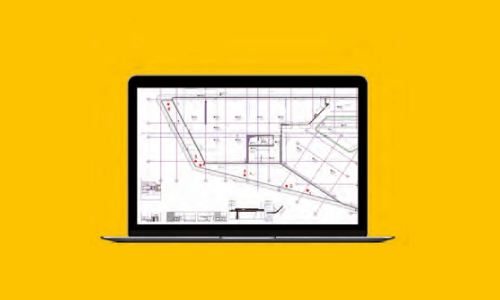 Bring your roof surfaces to your desk accurate in every detail and manage each square metre of your flat roof in accordance with the current status quo. We would be delighted to prepare an individual quote just for you. Contact us now or use our call-back service.